Leicester City (in 2016) and Manchester City (in 2018) are two recent Premiership-winning teams that went about their footballing business in completely different ways, and there's a neat parallel to be drawn here with New Star Manager and Football Manager 2019 Touch. Both are ostensibly playing the same Switch football management game, and both are capable of swallowing whole evenings in one gulp. Yet when you get down to the mechanics of play, the two games could scarcely be more different to one another. 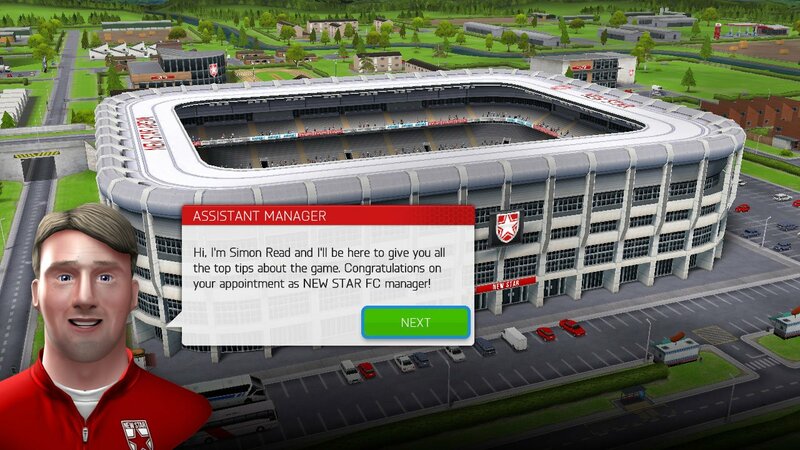 If Football Manager is all about painstaking detail and replicating the minutiae of real-life football management, then New Star Manager is a joyful, loose approximation of the beautiful game. While the former wants you to wallow in reams of text and pore over stats like a deranged accountant, the latter feeds you bite-sized morsels of light busywork and thrillingly tactile matches. 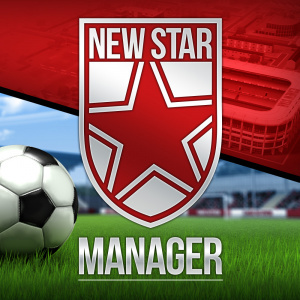 All of the teams and player names in New Star Manager are fictional, and rendered in a simplistically stylised fashion that befits its mobile origins. But don't let the 'M' word put you off; this is an engrossing and thoroughly rewarding experience that could potentially keep you entertained for as long as your typical JRPG. In between matches, New Star Manager almost plays out like some kind of card-based strategy game, as you build your deck/team and swap in player cards according to their health and ability stats. Do you play your star player up front again, or give the fitter, hungrier understudy a chance in the name of squad harmony? Do you dare use a skill-boosting training card on the eve of a big match when you know full well it will leave the player panting by half time? 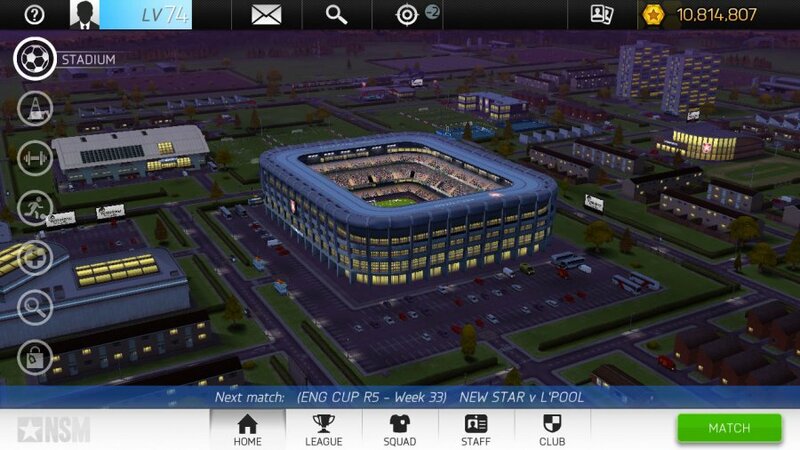 Building your club from the ground up in New Star Manager also incorporates casual city builder elements, as dinky training grounds and scouting offices pop up with their attendant wait timers and virtual currency requirements. Turn those frowns upside down, for there are no pay-to-win elements here; swift progress can be made if you come up with the goods on the pitch. 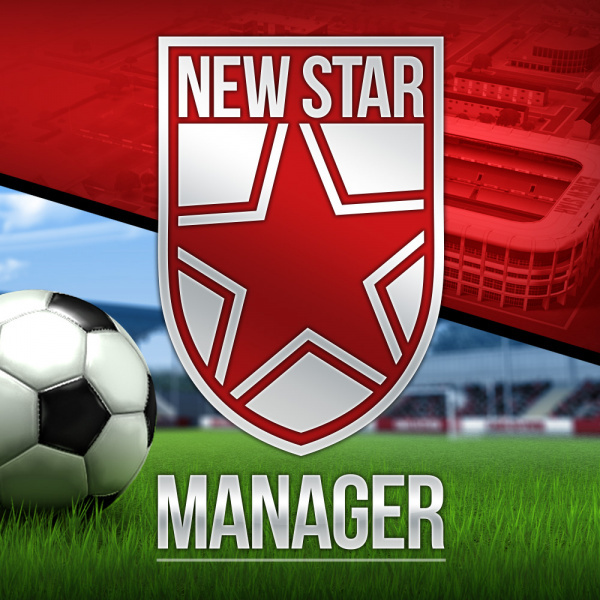 And it's on the pitch that New Star Manager really comes into its own. 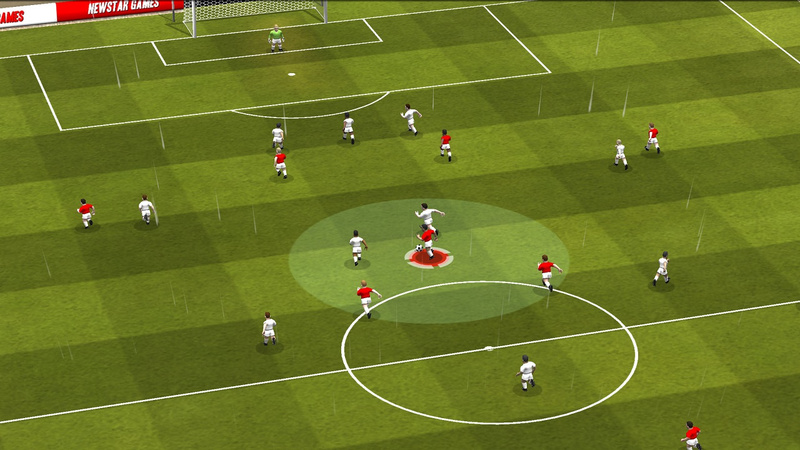 Each match feeds you a highlights package of attacking moments, not unlike Football Manager. But you're no passive observer here. Rather, You must directly intervene in each clip, drawing out runs into space, weighting through balls just so, and applying the appropriate direction and lift to shots. Interestingly, this plays out very differently depending on how you choose to use the Switch. In docked more, or with the Joy-Con fully employed, these snippets of live action control much like a simplified take on FIFA. You can dribble by combining the left stick and ZR, dictate the runs of teammates with the right stick, shoot with Y, pass with B, and so on. It's never as fluid as EA's popular footy game, of course, and playing New Star Soccer in this way highlights the match engine's low-fi limitations. Crude as it is, though, there's also something undeniably engaging about this phase-based approach. Playing in handheld mode also enables you to use an all-touch control system, which is actually much closer to the game's mobile origins. Playing the game in this fashion, we found that dribbling was more awkward and shooting a little less nailed-on, but it also massively expands the scope for audacious belters from distance. The difference in feel and rhythm is really quite stark. While we're generally quite happy with the way the game has made the transition to Switch, there are a few quality of life issues. The game seems quite unstable in its current form, with several crashes occurring within as many hours. We also noticed a fair few performance stutters, which is a little disconcerting for such a technically simple game that is accustomed to playing on relatively modest smartphone hardware. 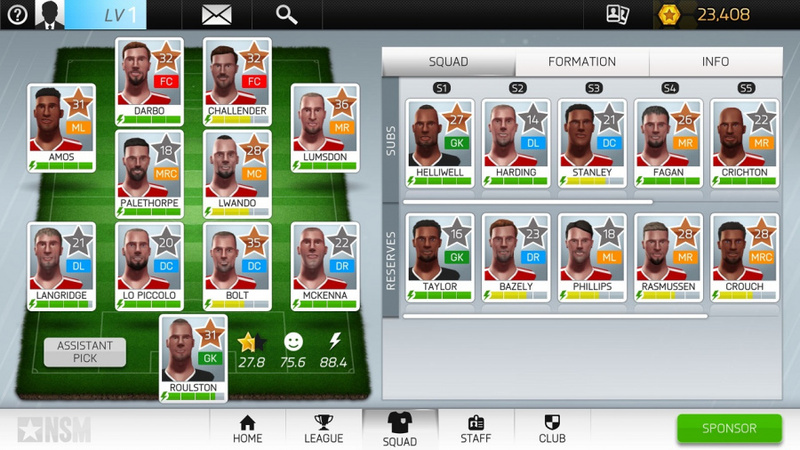 The sense that New Star Soccer isn't quite at is best here on Switch is something it has in common with Football Manager 2019 Touch, in fact. But so is the sense that for all its technical snags, it remains a nigh-on essential purchase for Switch-owning footy fanatics. Interesting, I really want FM Touch as a big fan of the series in the past. But my life doesn't warrant that much free time anymore. Its a young mans game. This may be worth a look if the price is decent. I'd like to think I'm open to new brands of football games, but the apparent lack of any real-world licensing, the 'several crashes in as many hours', and the overall 'made for mobile' aesthetic tell me this 8/10 score is one I'll choose to need some other reviews and word-of-mouth for before I can take it seriously. This is an "ü". I gift it to you so you can update the tagline. And because i am nice i gift the complete set äöüÄÖÜ. @Sinister Can you send one to the BBC as well? A switch edition of Nintendo's Pocket Football Club would be appreciated with a slightly more coherent non-insane card matching mini game. These more "realistic" sims have a place mind, but I have to say Pocket Football Club really hit the back of the net for me. You say modest smartphone hardware, but to be fair a considerable amount of smartphones are way ahead of the Switch in terms of processing power. Not in terms of graphical technology etc, of course, but there's a reason they cost more than a Switch. So you say that this little game which looks like how FIFA did 20 years ago, is better than FIFA 19 which has licensing of over 15,000 real world players, a myriad of game modes (including manager mode), and an extensive online experience?? On a scale of 8 to 10, what do you rate this buggy mobile shovelware? I already have FM 2019 Touch, so I`m thinking I`ll wait for a sale to get it. Specially since I`ll get Wargroove on the first. Before reading this, I thought to myself, jokingly: “it’s gonna get an 8 as usual”. Then I saw it got it for real. New Star soccer on PC is easily my favourite Soccer/football game, yes I think it's better than FIFA. I really wish that was what had come to Switch. I may get this anyway, but it seems like a missed opportunity bringing the mobile version to Switch instead of the PC version. Granted this doesn't look as good as FIFA, but game play wise, it offers a row experience that affects got other players respond to you while playing. If you don't hangout with your teammates they won't pass you the ball during matches. If you spend to much time with your girlfriend, your training and then your stats suffer. It's a remarkable game that also played excellent, if a bit on the arcade-y side. 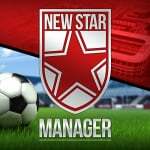 Can you edit team and player names? I think that the Klopp mention is too british. Someone care to explain this to me. lol. It’s that terrible is it? Should be "docked mode" not "docked more". Editor Kincl lives to serve (salutes). That sounds so awful, I'd give this game a 1/10. Since the punters hate 8/10s so much, perhaps an interesting approach would be for NL to ban that score entirely. That way, for every game the reviewer has to make a tough but entertaining call: 9/10 (a great game) or 7/10 (today's "bad"). No middle ground and guaranteed drama!